Gender reveal parties are all the rage, and that’s a good thing – these super fun parties are exciting ways to share your news with your family and friends. There are lots of unusual ways to throw such a party, from the décor to the games to the big reveal. Here are some of our favorite themes, games, and décor ideas we expect to see more of in 2018. A little royal is on the way – will it be a prince or princess? This regal theme is a cute way to celebrate your big announcement. Mix little princess and little prince décor for a fairy-tale party that will have all your guests living the fantasy right along with you. For example, you could set up a DIY crown-making station where guests can use the provided materials to create a blue or pink crown to wear and show their predictions. Make or order a prince/princess themed cake and display it front and center of an ornate tablescape of delicious treats. A candy buffet fits right in with this luxurious theme. Mini champagne bottles complete with custom labels make perfect favors. Cascading backdrops of flowing streamers and garlands help set the mood. The popular nursery rhyme/song becomes the inspiration for a heavenly gender reveal party with this sweet theme. Decorating is easy with gold stars and moons (or a combination of pink and blue ones), confetti, and spiral ceiling decorations. Have guests choose whether they’re on Team Girl or Team Boy by taking a moon- or star-shaped gender reveal pin when they arrive. Provide prizes for the ones who guessed correctly. Be sure to adorn your cake with dreamy stars, moons, and clouds and the perfect cake topper. Don’t forget the starry invitations – every detail matters. Your guests will be talking about your celestial festivities for a long time to come. Step right up to reveal the gender of your little peanut. Turn your home or venue into a three-ring circus for this incredibly fun theme. Go nuts with a cake decorated to look like a circus tent (think bright stripes or triangles with flashy scalloping and maybe even an elephant topper), invitations that look like circus tickets inviting your friends and family to a “must-see show,” and decorations of helium balloons and bright, cheerful banners. Animal crackers and treat bags filled with peanuts and popcorn do double duty as snacks and decorations. To make your reveal, give guests a Team Boy or Team Girl ticket when they arrive. Set up three games in different areas, such as Ring Toss, Guess How Many Peanuts in the Jar, and Pin the Nose on the Clown. Let the winning team open the envelope that contains baby’s gender. Don’t forget the blue or pink confetti. With multiple births on the rise, more parents are getting the privilege of revealing not just one gender, but two. 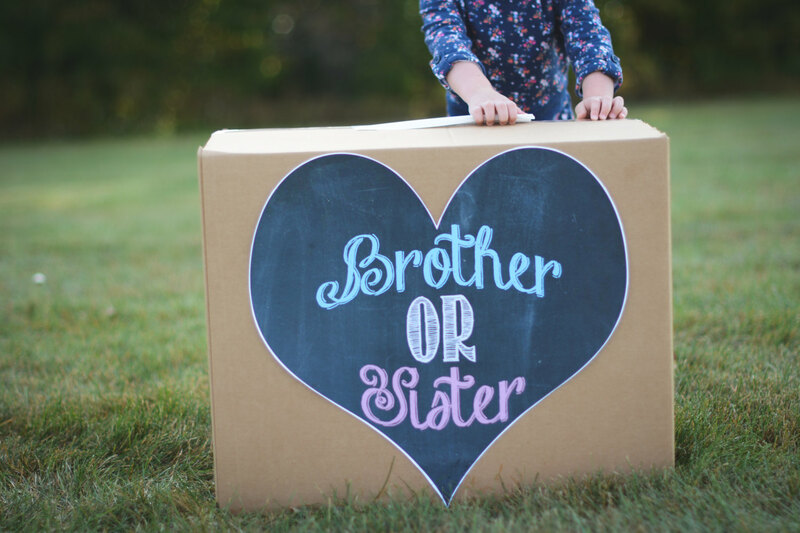 Any theme you might choose for a gender reveal party can also be adapted to accommodate twins. For example, if you are having a cake made with a pink or blue surprise inside, you could make two separate cakes, or mix pink and blue candies inside the cake (or all blue or all pink if you’re having two boys or two girls). You could make two boxes of balloons, two piñatas, or two of whatever you’ve chosen to share your (doubly) exciting news. …then change up the color scheme altogether. No law says you must fill your party with pink-is-for-girls and blue-is-for-boys stereotypes. Choose whatever colors you like – perhaps brown and teal, gray and yellow, or navy and gold – to decorate your venue and share your news. Alternately, use something besides color to make the big reveal. For example, you could have a Micky or Minnie Mouse party, bow ties vs. hairbows, lashes vs. ‘staches’, or anything that’s meaningful to you. There are endless ways to create a fun gender reveal party that won’t conflict with your values – no pink or blue required. No matter what theme you choose, a gender reveal party isn’t complete without some hilarious and challenging games to entertain your guests during the afternoon or evening. Try some of these adorable ideas and, of course, have prizes available for the winners. As your guests arrive, give each one a safety pin or clothespin. If anyone says the word “baby,” they must give their pin to the person who heard them say it. The guest with the most pins at the end of the party wins. Alternately, you could use stickers, pieces of candy, or pacifiers in place of the pins; you could also give each guest a few of your chosen item instead of just one. Before the party, write the names of various baby items on index cards – think diaper, bottle, pacifier, crib, stroller, and so on. Tape or pin a card to each guest’s back as they arrive without letting them see it. They’ll then have to figure out what they are by asking the other guests yes or no questions. Give a prize to the first five people to get it right. Create a Bingo game for your guests to play for prizes. Fill the cards with all sorts of relevant information such as your due date, whether you think it’s a boy or girl, what you’re craving, and so on, along with the names of various baby items. Whoever forms a straight line of correct answers wins. The personal answers add a touch of humor and fun to a classic game. Or, purchase premade baby-themed bingo cards to make this game even easier. Find a bunch of headshots of women in horror films and women in labor. Post them and have guests guess whether the woman is scared out of her wits or in labor (not that the two are mutually exclusive!). Give prizes for the most correct guesses. If the mother-to-be has a sense of humor about her growing belly, have guests cut lengths of string to the size they think would fit around her perfectly. Once everyone has cut their string, measure the belly and the strings and compare numbers. The closest guess wins. If you’re choosing a specific theme, decoration inspiration shouldn’t be too hard. However, if you’re not, you still need to come up with cute baby-shower or gender-reveal decorations to outfit your venue and set the mood. Here are some great ideas to help you give your space the look you want. Using materials such as honeycomb paper in your chosen colors (pink and blue or whatever gender-neutral colors you prefer), metallic beads, and templates, create a few hanging mobiles with a variety of ethereal shapes to float above the table (or one large mobile). These low-cost DIY decorations fit right in with the “baby” theme and make a significant impact for just a little effort. Any plain hanging paper lanterns get an instant upgrade with a quick application of spray paint. Choose pink and blue for a sweet look or even gold, silver, and/or bronze for a luxe, sophisticated feel. Hang a whimsical grouping of painted lanterns over the table or in the central party area (but not so low that they get in the way). Origami paper comes in beautiful little squares of assorted colors and patterns. Choose some you like in colors that fit your other décor and string them together for a few unique scene-setting banners. For a look that really pops, choose several different patterns in coordinating colors and mix them on the same string. Fresh flowers always make lovely centerpieces. For a gender reveal party, a mix of pink and blue shades is in order. Consider carnations, lisianthus, ranunculus, bluebonnets, sweet peas, and hydrangeas – or some combination of these – for a boy/girl arrangement perfect for almost any theme and table. Gender reveal parties are so much fun; it doesn’t look like the trend is going anywhere anytime soon. If you’re lucky enough to be hosting one in 2018, we hope the above ideas give you the inspiration you need to throw the party of your dreams.